Can a projector designed for life on the road still offer good image quality? The Optoma EW330 is the most expensive data projector in this group test, but it's also the smallest and lightest. With an overall weight of just 1.2kg, it is perfectly designed for life on the move. The compact chassis feels solid and is more than tough enough to be carried in a bag alongside your laptop. The zoom ring is hidden away inside the main body of the projector, while the focus ring sits on the outside. Through the use of a clever design it works exceedingly well without protruding too much. The menu buttons are a little small and fiddly to use at first, but the menu software is easy to get to grips with. With a brightness of 2200 ANSI lumens and a standard 2000:1 contrast ratio, you can use this projector in most lighting conditions. We found image size to be acceptable for smaller meeting rooms, but not nearly big enough for larger spaces. Connectivity is kept to a minimum, with a single D-sub port and s-video connection. However, there is also an HDMI port in place, so you can connect to a high-definition (HD) digital source with ease. What we like best about the EW330 is the image quality it delivers. During our presentation tests we found it offered a very sharp contrast between black and whites, with documents looking crisp. With its 16:10 aspect ratio, it's designed for use with older laptop screens, so you'll find the native resolution of 1280 x 800 pixels leaves a slight letterbox effect in place when running widescreen movies. In many respects, the only real flaw with the EW330 is how hot it gets. We also found it quite loud, as the fan needs to work hard to keep the heat under control. If you're using it for presentations on the road, you'll need to wait for it to cool down properly before packing it away. 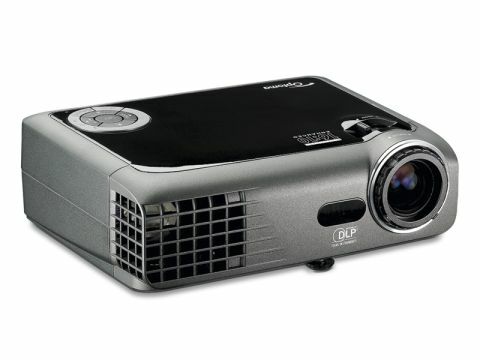 Overall, the EW330 is a great projector. We like the compact size and connectivity is decent, but most of all the image quality on offer is simply outstanding.